A writer-contributor and edtior for CLN, Michelle holds a doctorate in molecular genetics (UT-Memphis) and has been practicing energy psychology techniques including EFT for more than 10 years. After nearly two decades living in Hong Kong, in 2012 she relocated her practice to the earthly paradise of Hawaii's Big Island. Her working world journey has included stints as a research scientist, medical writer, publishing manager and presentation skills trainer. Most recently, she completed a D.I.Y. guide to quickly – and permanently! - clearing the fear of public speaking. Steven Kotler explains the neurochemical changes during flow states that strengthen motivation, creativity and learning. “The brain produces a giant cascade of neurochemistry. You get norepinephrine, dopamine, anandamide, serotonin and endorphins. All five of these are performance enhancing neurochemicals. Here are some super inspiring quotes from the genius of Carl Sagan. What if one single word could “flip the paradigm,” unleashing the power to create enough for ourselves, enough for our communities and enough for the planet? And what if it wasn’t a trick or a gimmick, but a universal truth written into the very design of the cosmos? 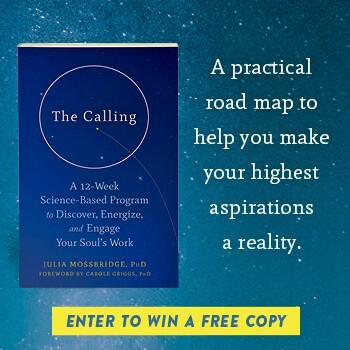 Guidance for overcoming limiting beliefs, inertia, and much more on the path to getting super motivated for goals that matter. Five debt collectors, according to the Education department, misled borrowers about their options to get out of default, the resulting benefits to their credit reports and collection fees. Misleading borrowers about their defaulted debts may violate federal fair debt collection laws. The Snowden Archive will allow us to better understand the scope and scale of mass surveillance programs, and help the public engage in conversation about government surveillance practices. True Meditations Should be Effortless – Are Yours? In active meditation, you are approaching meditation the way you do with other objects of the outside world. You believe that meditation is also an activity of the mind, a concentration on an objects (e. g. a burning candle), or your own respiration or a mantra. Real meditation is, by nature, effortless. Among this group of cancer-surviving women I noticed that they all shared one remarkable thing in common. They had all faced down death and decided to live every day like it might be their last. Ex-members of the IRA and the British military have rarely encountered each other since the 1998 Good Friday agreement brought to an end 30 years of violence that had claimed more than 3,700 lives. Four former members of the British army and four former members of the Irish Republican Army commenced a meeting that was intended to start a process of reconciliation among men who had once been the most implacable of enemies.